Home Credit is an international consumer finance provider with operations in 10 countries where there is high potential to grow. Founded in 1997, we focus on responsible lending primarily to people with little or no credit history. Our services are simple, easy and fast. We operate in highly attractive markets with significant barriers to entry. We are a leading provider of consumer finance in selected countries. It is our experience and knowledge across the different markets that sustainably puts us ahead of our competitors. We drive and broaden financial inclusion for the unbanked population by providing a positive and safe borrowing experience – the first for many of our customers. We promote higher living standards and meet borrowers’ financial needs. Our mission is to transform the way the world shops by making things that matter most to our customers more affordable. In today’s fast-paced, digital world, we provide the financial enablers that make life comfortable, connected, and convenient. We practice financial inclusion. Over two decades, our consumer finance products have ensured that our customers, even first-time borrowers with no credit history, can afford things to make their lives better with access to simple and reliable credit. We invest in financial literacy. Educating our customers and our local communities is the foundation of our social responsibility programs. We focus on providing a safe and flexible lending experience for our customers. To help ensure customers make the right borrowing decisions based on their own circumstances, we have introduced a cooling-off period as a standard. Our Safety Guarantee provides repayment options for clients by offering additional time for repayment, payment holidays, late penalty waivers, and other measures. We offer a superior borrowing experience for those consumers who are looking for alternatives to traditional banking. We provide a seamless online and in-store service to consumers across all our markets. As a result of these factors, we are a top lender in most of the markets where we operate, offering industry-leading products. Our 132 thousand employees have so far served over 111 million customers through a vast distribution network comprising 434,232 points of sale, loan offices, branches and post offices. Home Credit Group’s total consolidated assets reached EUR 22.2 million as at 30 September 2018. Home Credit Group’s operational headquarter is in Prague, Czech Republic and the group is controlled by PPF Financial Holdings B.V., which holds an 88.62% stake. 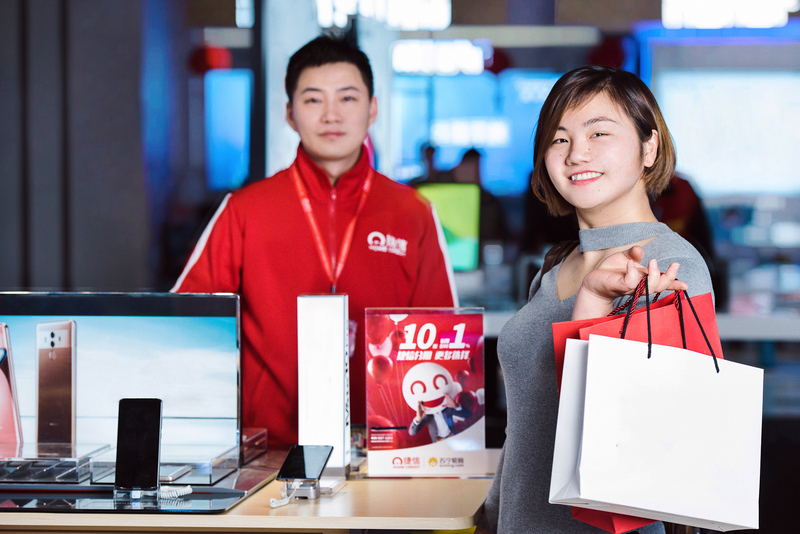 In China, Home Credit Consumer Finance Company (a subsidiary of Home Credit Group) offers its financing services in more than 250,000 points of sale across 312 cities. Additionally, in China, the company has been leading several projects focusing on financial literacy, poverty alleviation as well as healthcare.